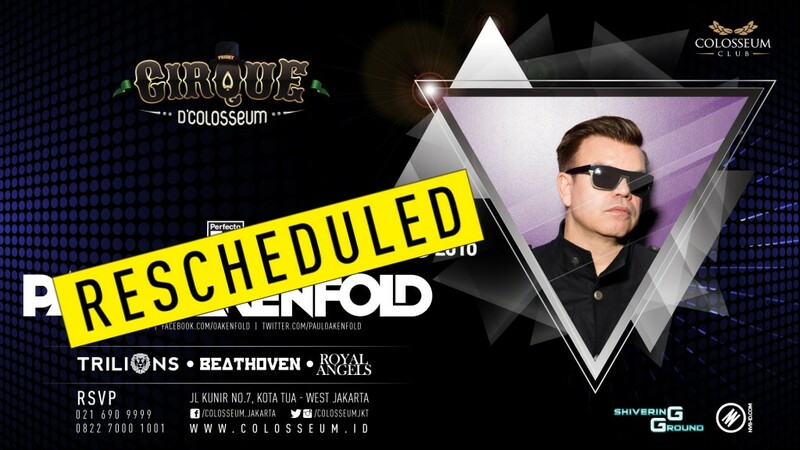 We need to inform you that, unfortunately Paul Oakenfold won’t be able to make the show tonight due to his sudden unpleasant physical conditions. This is a bad news for us all, as we know he was very excited to play in Jakarta. We are very sorry to hear about this and we can only hope the best for Paul.